A pile of frozen vegetables. 2 Are Pickled Vegetables Allowed on a Raw Diet? 4 Can I Eat Broccoli's Stem? A 100-percent-raw diet means eating only uncooked, and preferably unprocessed, foods. Raw food proponents say that heating food above 118 degrees Fahrenheit destroys natural enzymes in the food that provide essential health benefits. As store-bought frozen vegetables are briefly heat-treated with boiling water or steam before they are frozen, they are not suitable for a strict raw diet. However, "going raw" doesn't have to be an all-or-nothing proposition; you can get many of the health benefits of a raw diet by eating a mostly raw diet. 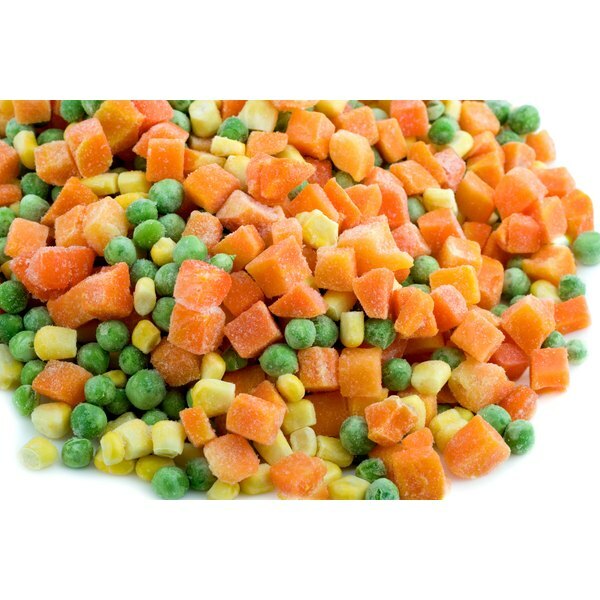 Frozen vegetables are not considered raw foods suitable for a 100 percent raw diet because they undergo a process called blanching before they're frozen. Blanching involves heat-treating the vegetables with boiling water or steam for a short time and then rapidly cooling them with ice water. Blanching destroys enzymes that would otherwise cause the loss of color, nutrients and flavor in frozen vegetables. Blanching also destroys microorganisms and makes certain vegetables, such as spinach and broccoli, more compact. Unlike frozen vegetables, frozen fruit is not blanched, according to the University of Minnesota Extension. Besides frozen vegetables, there are other foods commonly included in so-called raw food recipes that are not technically raw. According to The Raw Food Society of British Columbia, some foods that many raw foodists don't know aren't raw include liquid aminos, natural soy sauce and miso -- all of which are made with boiled soy beans. Some other foods which you may not realize are at least partially cooked include: most dried fruits and spices, cashews, most olives, most cooking oils, maple syrup, most nut butters, and most green powders and nutritional supplements. If you adhere to a strict raw diet, it is a good idea to contact the food manufacturer before eating any packaged food product to make sure the product has not been heat-treated. Although frozen vegetables may not be suitable for a 100 percent raw diet, it is important to eat plenty of fresh vegetables when following a raw food diet. 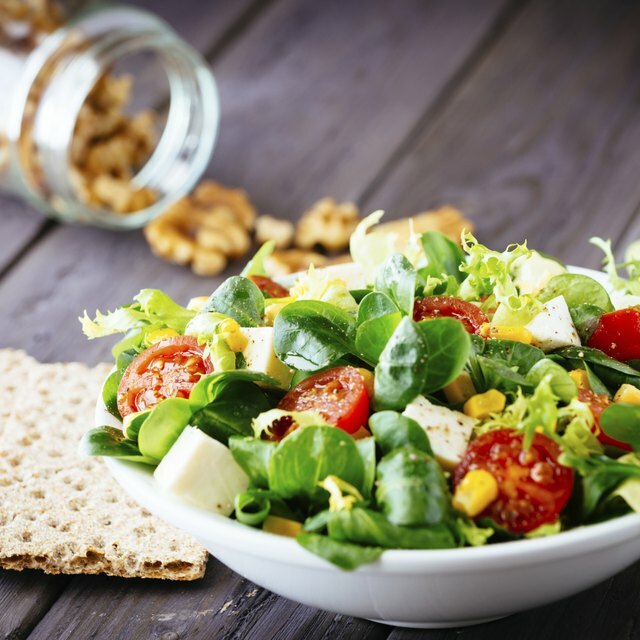 Green leafy vegetables are especially important for raw dieters as they provide protein, calcium -- nutrients which may be otherwise lacking in a raw diet. Other nutrients that may be deficient in a raw diet, without careful planning, include vitamins D and B-12, iron and zinc. Pao-Hwa Lin, an associate research professor at Duke University Medical Center, says that while a well-planned raw diet may provide adequate nutrition, it is a good idea to consult a registered dietitian before going raw to make sure your diet doesn't lack any key nutrients. While following a strict raw diet means cutting out all heat-treated foods, such as frozen vegetables, you may want to consider a more moderate approach. For example, some raw food enthusiasts eat 80 percent to 90 percent raw rather than 100 percent raw foods. According to Susan Schenck, author of "The Live Food Factor," most people trying to go 100 percent raw find it too painful and end up doing better on an 85-percent-raw diet. By eating mostly raw and incorporating some cooked foods, you may still enjoy many of the health benefits of a raw diet, such as increased fiber and micronutrient intake.